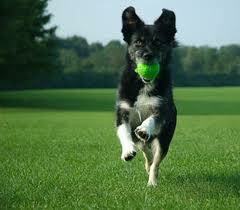 Pet Fitness Tip: Have you played fetch with your dog lately? How about a cuddle session with your kitty? Remember that you can shower your pet with lots of love without having to use food as a reward. Many dogs are thrilled to finally get you to throw the ball to them! While pets like food, what they really want is love and attention from you.